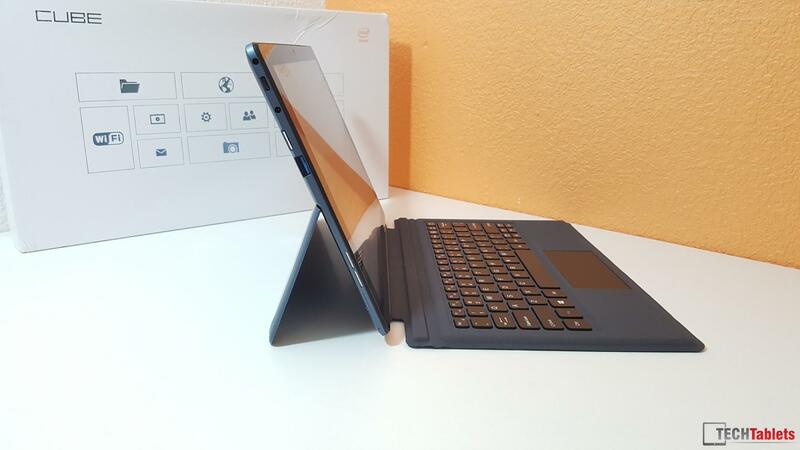 Leading the pack again, Cube is first Shenzhen Chinese based manufacturer to release a tablet based on the new Intel Skylake Core M3. And with this new chip comes a new design, the tablet has grown in size from the Cube i7 11.6 inches (Cube’s first Core M tablet) to 12.2 inches. It also has a two-position kickstand, which is something of a must on a large heavy tablet such as this. 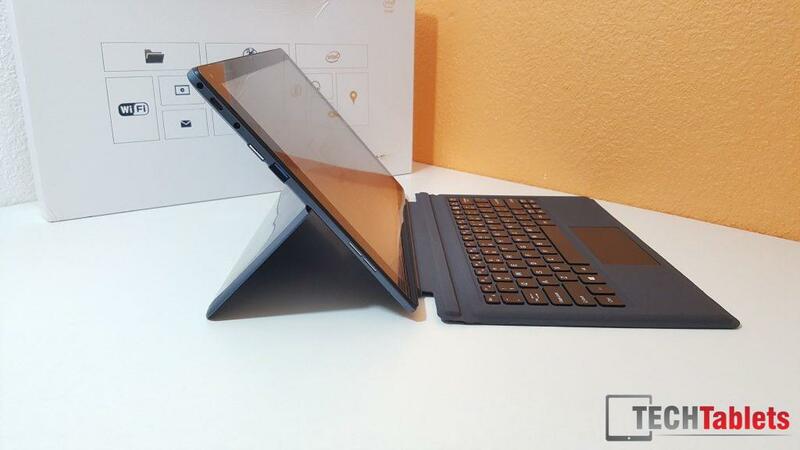 And a type cover style keyboard to compliment this 2 in 1 tablet. 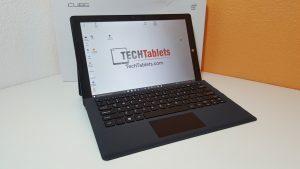 It’s clear that the Cube i9 is aimed for those looking for something like the base model Surface Pro 4 M3, but without the price tag. The i9 is powered by the latest Core M3 “Skylake” CPU with Intel 515 Graphics. It’s a fanless dual core, four thread CPU with a base clock speed of 900Mhz, but it can turbo up to 2.2 GHz and is built on a 14 nm process. The Cube i9 has 4GBof Samsung LPDDR3-1866 RAM running in dual channel with a max memory bandwidth of 29.8 GB/s. The Intel 515 GPU is a Gen2 unit, with a base clock of 300Mhz’s that under good conditions will boost up to 850 Mhz. The GPU can output up to 4k @ 60Hz via the Type-C port using a display out adapter. 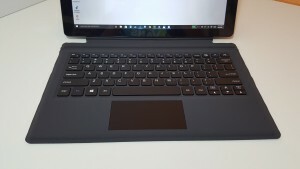 The build of the Cube i9 is well put together, well it’s no match against the Surface Pro 4’s premium build I don’t think it’s bad for the price of this tablet. The rear is made of a metal alloy, finished in Cube’s trademark dark blue matte paint. Careful with this one as it’s easy to scratch and Cube only apply a thin coat of paint. The top rear part is plastic and this is to help the wireless antennas reception. 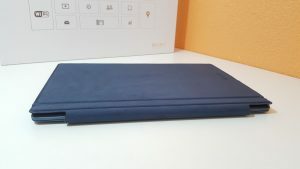 The front half of the tablet and the frame is made of a black ABS type of plastic, this houses the glass touch screen and is also what the rear metal housing clips and screws into. The Cube i9 has an optional keyboard that is very similar to the type cover style keyboards found on the Surface Pro series of tablets. The build quality is very high and it’s definitely a premium keyboard and easily the best type cover keyboard I’ve seen on a Chinese Brand tablet. The build and materials used are so close to the Surface Type Cover’s I’ll go as far to say, it’s made by the same manufacturer. The materials used front and back identical and so is the finish. 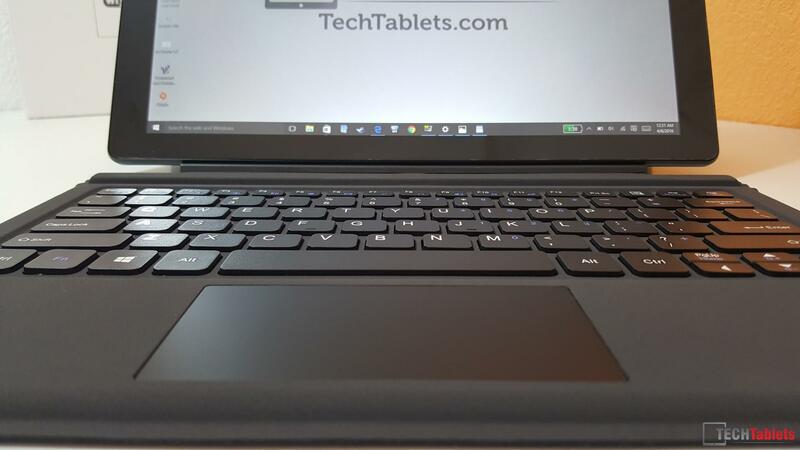 For a slim keyboard, the typing experience is good, the keys are 15mm wide by 13mm high, have good feedback, decent enough travel at 1.9mm and without a doubt one of the best keyboards I’ve typed on in this form factor. 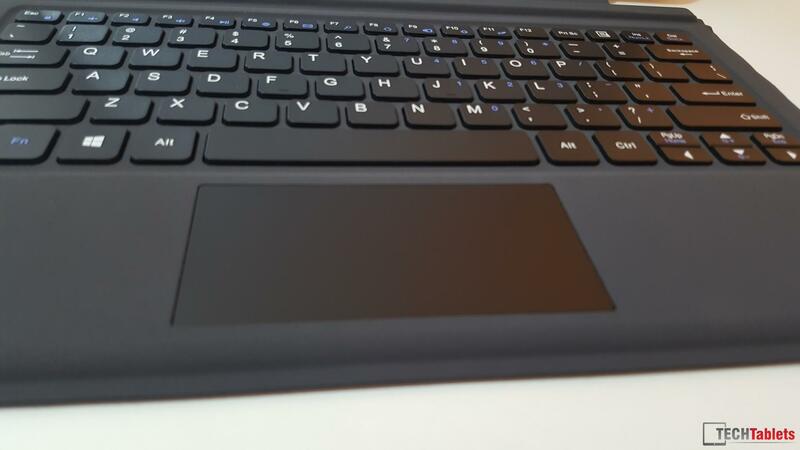 The same goes for the touchpad that’s 94mm wide and 45mm high. It’s super smooth and almost feels like it was a glass one. While not the largest of sizes, it’s very responsive and accurate with hardware left and right button’s built into it. It also supports Windows 10 gestures. And I would rate it being as good as the Surface Pro Type Cover 3 touchpad. 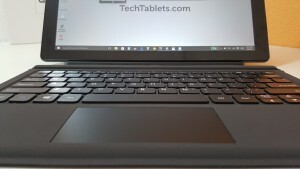 The keyboard comes highly recommended if you’re considering the i9, make sure you factor in the keyboard to complete the setup. 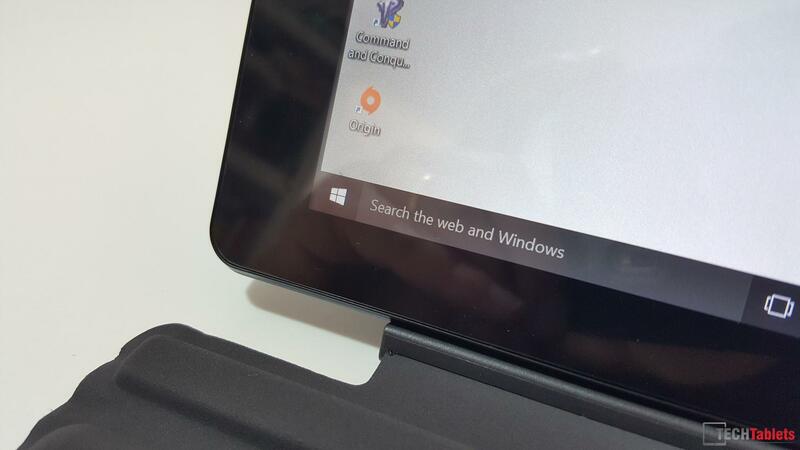 Cube opted to use a 16:10 screen without stylus support this time around, it could be this is just the first model like the i7 and later we will see an i9 Stylus unit? The panel is a HannStar HSD122BUW1, which has 1920 x 1200 pixels and is 12.2 inches with a PPI of 188 which isn’t exactly a groundbreaking screen from those specs. Still the it offers good viewing angles, deep blacks and the out of the box calibration doesn’t seem bad maybe lending towards more of a cooler screen. This can, of course, be tweaked and adjusted in the Intel Graphics options. The panel also seems to have a light anti-glare layer on it. It’s understand glass can can’t be removed. It’s not super grainy like some anti glass screens, only really noticabel when looking at white colors and looking at it close up. Still the i9’s 1200 resolution does have its advantages, firstly it should use less power (Less pixels to power) and secondly no scaling issues on older apps that don’t support Windows 8.1/10 scaling correctly like Photoshop CS5. The gap in the non laminated screen is only around 1 mm or less and not so obvious. The non-laminated touch screen is a standard soda lime glass one, not scratch resistant and comes with a pre-applied screen protector from the factory. The gap between the glass digitizer panel and IPS panel is very minimal under 1mm and not distracting like some Chinese screens. 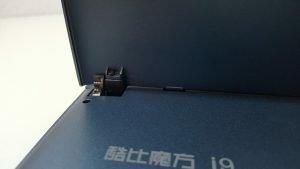 M.2 SSD: The i9’s has a 128GB FORSEE Brand M.2 2242 drive. It’s a SATA 3 unit so no PCIe NVMe super speeds here. 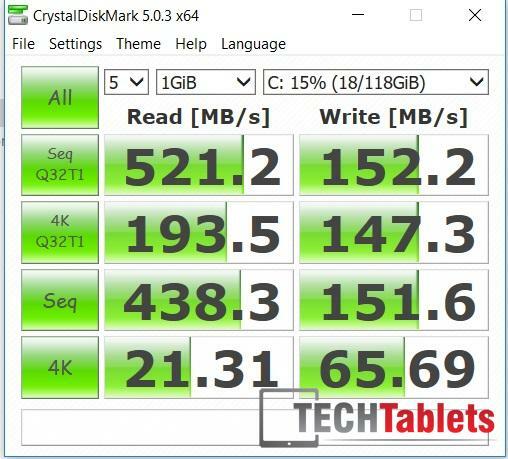 The read speeds are good, but the drive is a little slow when it comes to write speed. On the original bios that shipped with the unit, I ran into some MicroSD card slot issues, it just wouldn’t read my MicroSD cards over 32GB’s later when I flashed a newer bios the i9 let me read my larger cards. 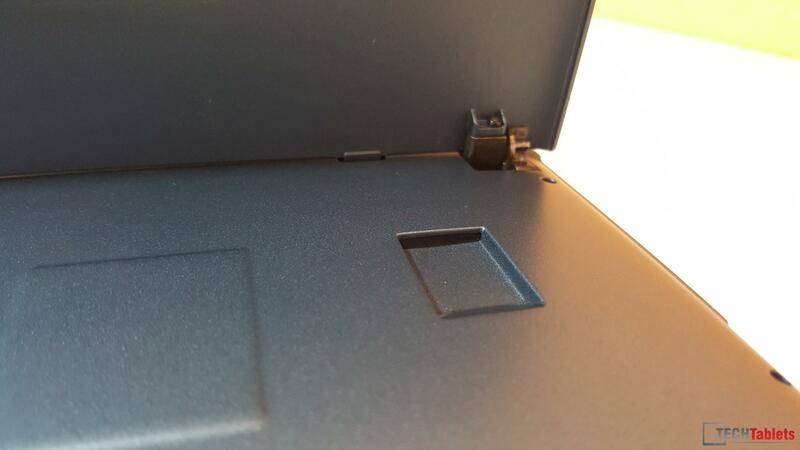 Scott in the forums also reported MicroSD card reader issues with his large 128GB MicroSD. His Cube i9 needs to be rebooted each time in order to read it. At least for me, the bios I flashed seems to have fixed the issue, so old the first batch with the first bios release seem to be affected. Samsung 64GB Evo MicroSD card. Checking out the internals of the Cube i9 in a teardown, showed Cube has or had plans to add 4G support via a M.2 LTE modem, the SIM reader is already part of the motherboard and it looks like all that’s needed is a supported 4G/LTE modem and antenna cables .With that installed the i9 should then have 4G support. 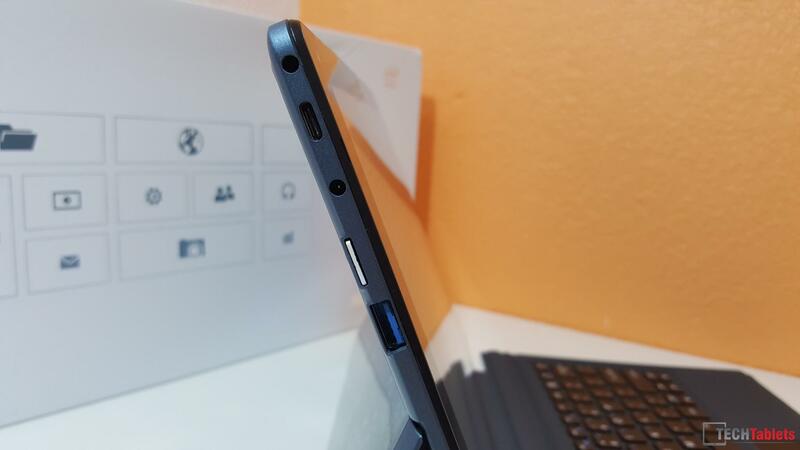 The tablet has a full-sized USB 3.0 port that functions perfectly, it will power external hard drives and performs at full USB 3 speeds. 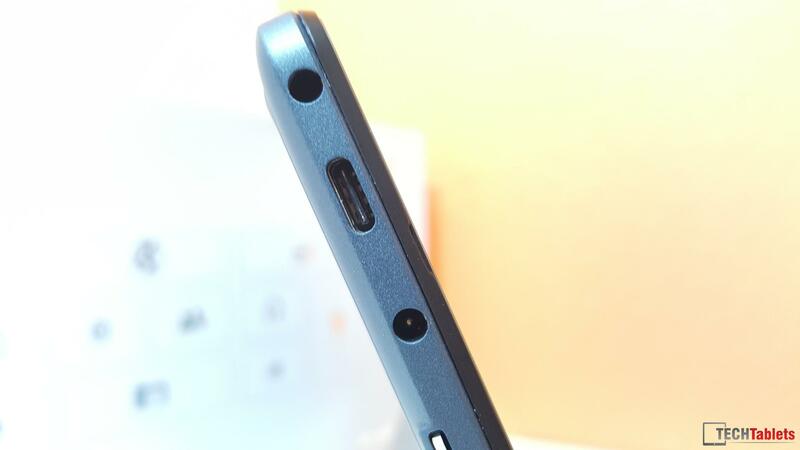 There is also a USB 3.1 Type-C port. And in my teardown, I had a look at the USB 3.1 port controllers. I noted the following chipsets an EtronTech EJ898 & Pericom PI3USB30532. These chips handle power delivery, USB 3 and display out. 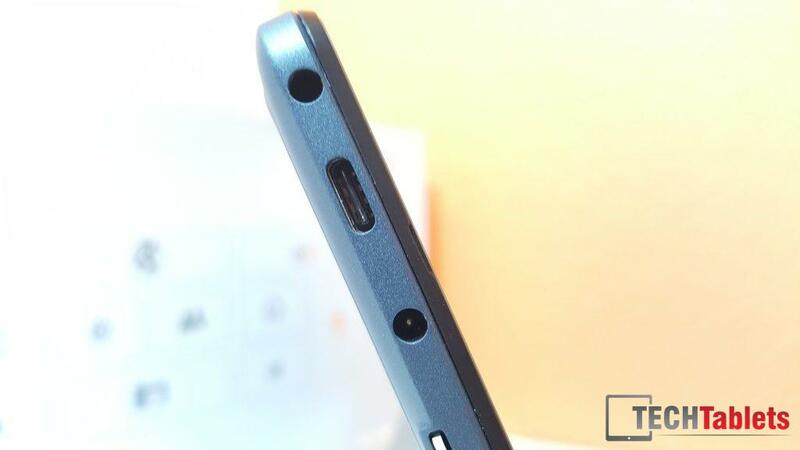 3.5mm headphone port, USB 3.1 Type-C port, DC charging plug and the MicroSD card slot. A Realtek RTL8723BU single band 2.4 GHz chipset handles wireless internet and Bluetooth 4.0, note it’s only single band, it’s a real shame in 2016 there is no dual-band chipset in the i9. Speeds are very good for this chipset as benchmarked below. 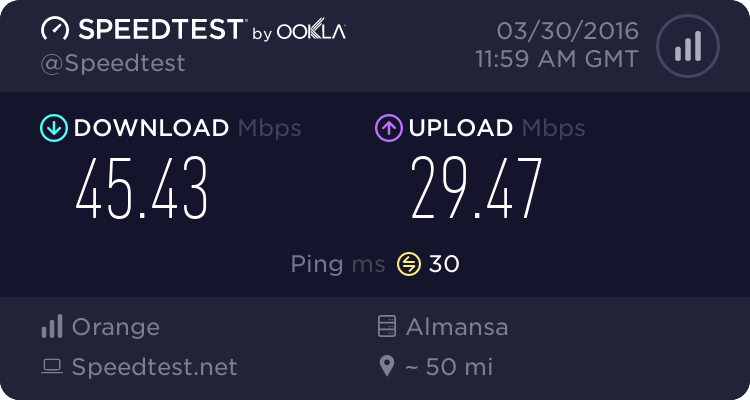 My desktop i7 PC gets around 49 Mb/s and 25 MB/s upload so this is a really good result. On first boot the i9 comes with 3 language options, English, Russian and Chinese. The 128GB drive has 103GB free to the user. And Windows 10 Home 64bit is fully activated and my reset and restore of the tablet via recovery went without a hitch. The license is completely valid. No problems here unlike some of the cheaper i7 Stylus versions. With the dual core/ 4 threaded Core M3-6Y30, windows is very quick. No problems moving around, playing 4k videos and H.265 videos. The Core M3 handles everything really well, including some moderate multitasking, Chrome, Edge, with YouTube Playing didn’t bring the system to its knees. Moving from an Atom tablet the Core M3 + SSD is very noticeable, compared to the Atom’s the i9 just flies. 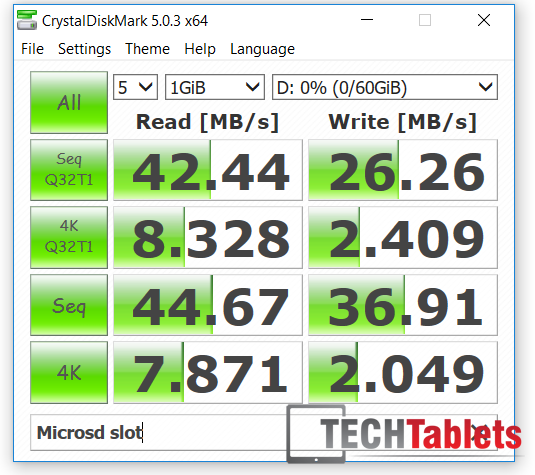 For a tiny 4.5W chipset it performs great, but the results here are somewhat less than the Microsoft Surface Pro 4 M3 with the same Core M3 chipset. There is a reason for this, Microsoft’s better thermal design and higher power limits. 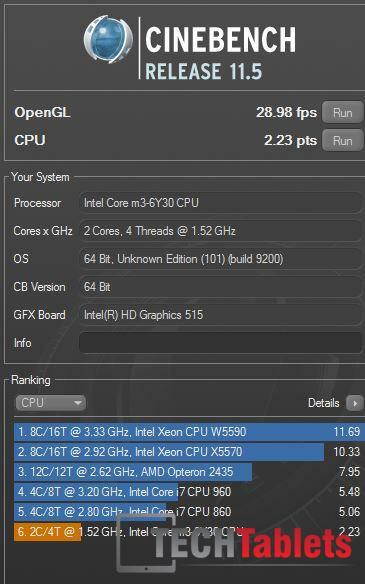 Some of the Ice Storm scores here score a little lower than the last Gen 5Y30 Cube i7 and i7 Stylus, the power limit set to 6W is to blame for this. But it is possible to improve on the thermals and limits with a few mods. However, this review is of an unmodified stock unit. But you can read about how to increase the power limits and lower thermals the Cube i9 to make it perform better than a Surface Pro 4 M3. Note: These benchmarks were run before any modifications to the thermals were made on my unit as seen in the Cube i9 YouTube series. Gaming on Core M’s is as good as it gets on fanless tablet. 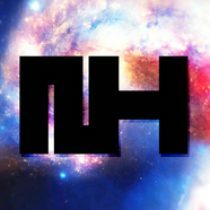 Light games like League of Legends, Half Life 2, Dota 2 can be run at full resolution and some with high settings producing playable frame rates. Newer games like Battlefield 4 proved too demanding for tablet at 1024 x 768. And games like Fallout 4 just plain refused to load or if they did ran at 2 fps! (A Intel driver issue) Check out the below video for a quick look at how games run the Cube i9 and their respective frame rates. And if you mod the heat sink and increase the power limits… Even a demand title like Grand Theft Auto 5 is playable. An amazing feat for a fanless tablet. The Cube i9 has two 5000mAH hour cells and the battery on average lasts approximately 6-7 hours with 25% brightness, Wifi, BT on using chrome was 4-5 tabs and some YouTube streaming. While this figure is nothing amazing, my Surface Pro 4 M3-6Y30 version got around 7 hours on a full charge so it’s comparable to other Core M3 tablets out there. Only the less powerful Atom tablets like the X98 Plus or Chuwi Hi12 offer over 8 hours battery life. If you’re using an application like Battery Bar or HWinfo, not it only detects one battery cell and therefore estimates and the capacity is incorrect. I really don’t understand why Cube doesn’t add a larger copper heat sink in there and not the aluminium, obviously, it’s cost cutting. But I think they need to rethink this and invest in some copper which does a much better job at transferring heat. The aluminium heat sink with thermal pad on top where the Core M3-6Y30 is. Under high load on both the CPU and GPU temperatures reach a maximum of 88 degrees, under sustained load temperatures, didn’t exceed this maximum and the rear metal body reached a warm 40 degrees. Nothing uncomfortable, unless pushed hard doing something very taxing like gaming the i9 runs very cool to the touch. 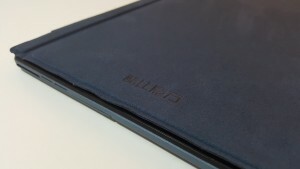 Cooler than the i7 Stylus it’s predecessor which gets ratehr got on the upper right hand side of the rear metal housing. 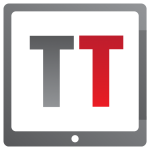 While there isn’t any thermal throttling what does occur is power limit throttling when both the GPU and CPU reach their TDPUP limits, the system will throttle the power somewhat. 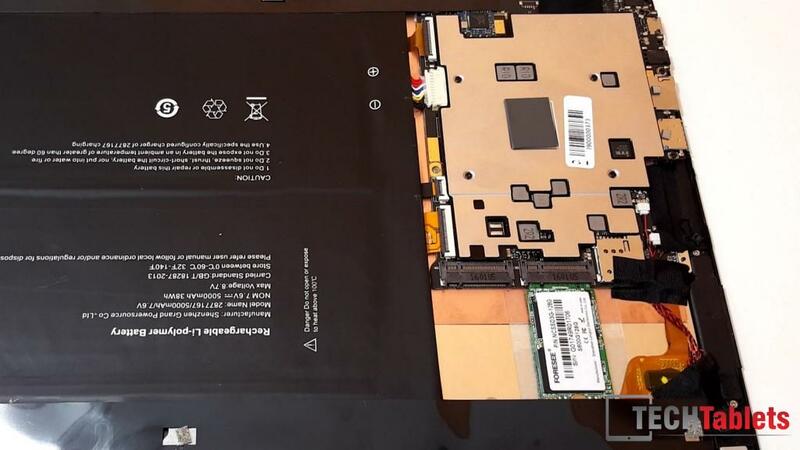 This in affect is similar to thermal throttling as it reduces performance somewhat and limits the output and heat of the chipset, which in turn lowers temps and stop the tablet from overheating. The Intel 515 GPU takes is most effect by this power limited and it limits just how high the GPU will clock up affecting gaming frame rates and 3D application performance. 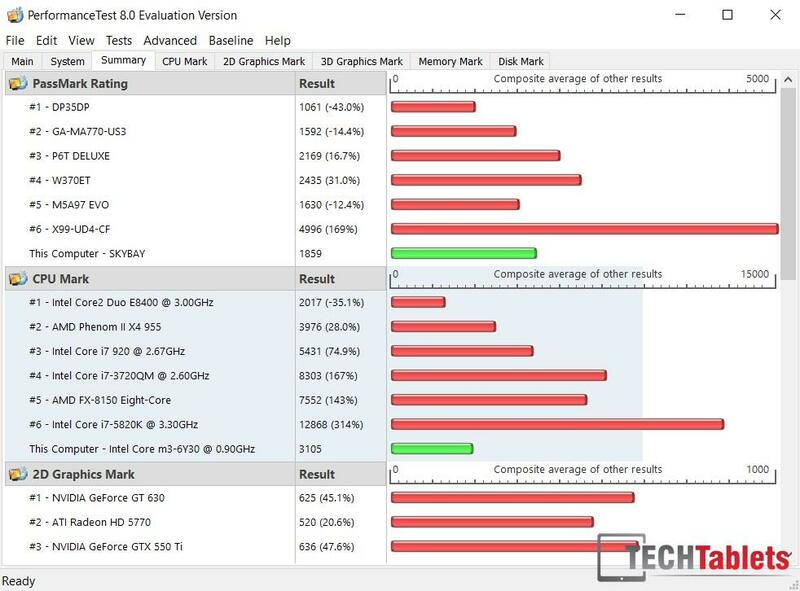 Even with a 6W CPU power limit the Cube i9 performs close to the Surface Pro 4 M3 in benchmarks. Charging i9 take around 3 hours approximately from 8% battery life. It’s 12v 2.5A charger is also enough to power and charge the battery when the tablet is in use. 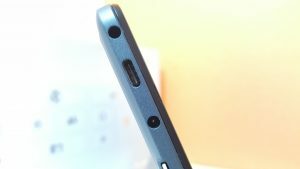 The i9 has two speakers that fire out from the left and right sides of the tablet, so we have decent stereo separation and these speakers are louder than most Chinese tablets. 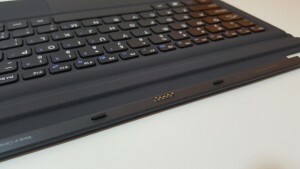 And a huge improvement over the i7 Stylus, which I felt was let down with some very average speakers. Cube at least have improved things. There is a slight hint of bass even over these speakers. max volume is good, not the greatest, but again a step up over the previous Cube Core M models of 2015. The 3.5mm jack outputs loud and clean audio. No complaints here. The front 2MP camera on the Cube i9 isn’t as bad as I thought. It performs well in Skype without any lost frames or lag. But in lowering lighting conditions, it does show a lot of grain. It’s good lighting it’s quite acceptable and the kickstand position allows the camera to fit you in the frame just fine when seated. The rear 5 megapixel camera is nothing special, images tend to be overexposed and often blurry in parts thanks to a poor plastic lens over the sensor. But it is at least an autofocus unit, so you can take a quick snap of lecture notes, designs or text for example. Macros are okay. Something my fixed focused Surface Pro 3 couldn’t even manage! No macro shots were possible on that one. Here are some sample photos from the cameras. 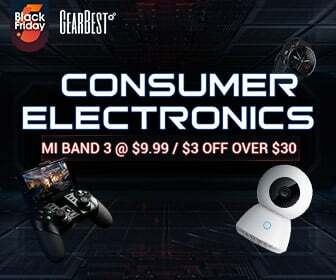 Despite the power limits imposed that slightly lower benchmarks scores compared to other Core M3’s and the MicroSD issue. The Cube i9 is one of the best Chinese tablets out there. Benchmark scores aren’t everything, not when you have a very practical design, great build quality, decent 16:10 screen, a USB Type-C port, kickstand and the best keyboard cover I’ve used on a Chinese keyboard to date. 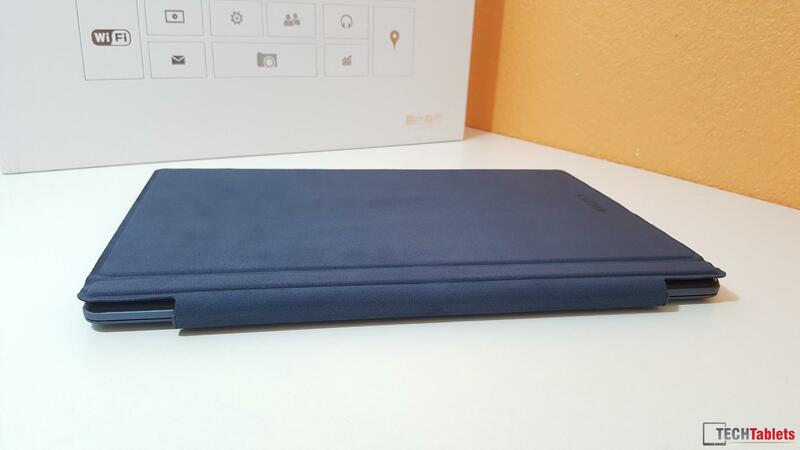 If you’re after a cheaper version of the Microsoft Surface Pro 4 Core M3, then this is it nothing comes closer out of China. Sure you don’t get that lovely fully laminated Surface Pro 4 screen, the premium build, Microsoft warranty, and support etc. But what you do get for half the price is something comparable and almost as fast which is a feat in its own. I look forward to seeing a possible stylus enabled version and hopefully 8GB of ram with an improved heat sink. The real value now lies in the i7 Stylus. 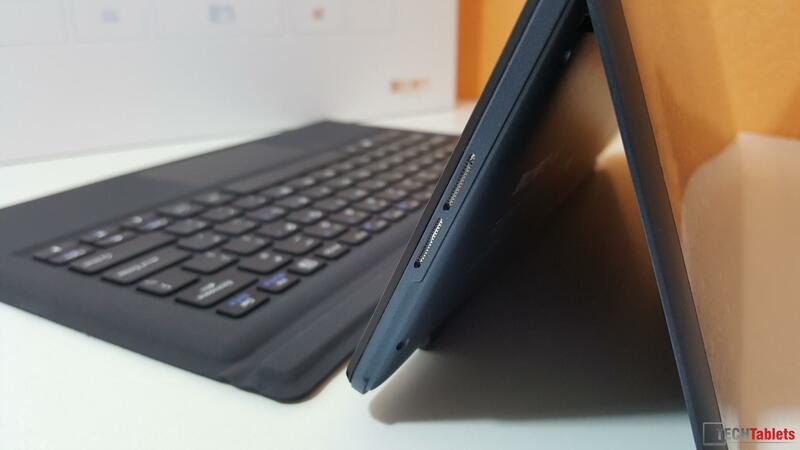 It has the last generation Core 5Y10, which is almost as fast and still powerful for a fanless tablet. It has a smaller 10.6″ screen with a fixed position removable keyboard dock and Wacom stylus support. Best of all it’s only $285 if you find the Cube i9 a bit too steep for your liking. Check out the Cube i7 Stylus review. Matte layer over the IPS panel. Quick question, I was wondering if you have heard anything from Cube if they are working on a Cube i9 Stylus Edition? If so, how far until it’s release? 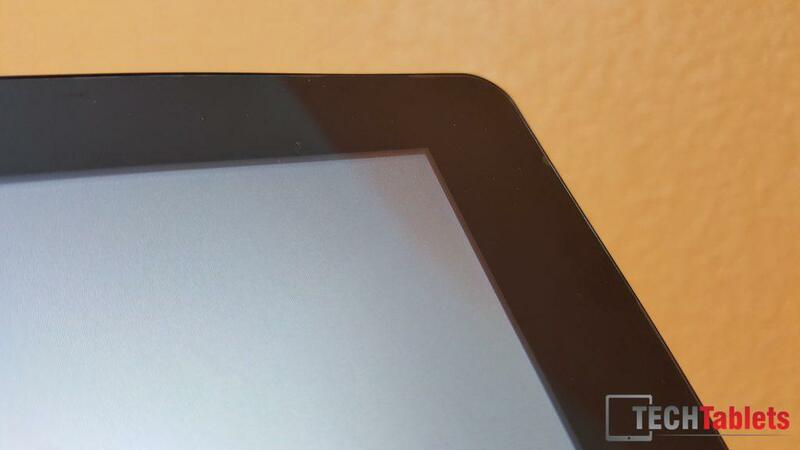 If not what would be the most up-to-date tablet with complete stylus support and as close to a budget of $300. What is better? 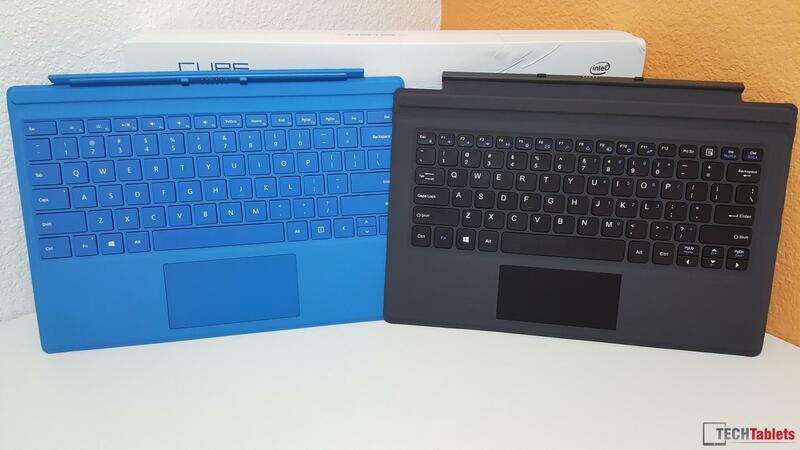 Cube i9 or Asus Transformer Book T100TA? So does this tablet support NVME or not? I searched everywhere and could not find the answer. Is any of the connectors PCIE 4X? No SATA 3 only. No NVMe tablets at least from the Chinese brands. Surface Pro 4 has NVMe, but impossible to upgraded, it’s sealed in there. Hi there. 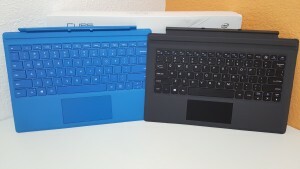 Some of Aliexp listings offer the keyboard and a stylus. Is this a legit stylus that has the capability to draw in paint etc, or is it more like a pen to use instead of your finger? Whoops sorry. Just noticed your comment about qu. Also, google is a useful tool. So, the i9 doesn’t have a pressure sensitivity. Keep up the good work bud. And I guess everyone that bought this tablet from So Cube at the anniversary deal (399 USD), will have their tablets factory set at the power limit at 4,5W, and that is not that great for gaming, and if I turn the W up it gets really warm. So your review isnt really fair, but I think you bought it from the same seller, so I find it weird that they would do that. My Cube came with the setting of 4,5W. If I turn it up to 7W it get 95 degrees warm, so right now I have it at 6W, but it still gets 91 degrees warm, hopefully I can do the mod in the coming weeks. Without the mods this tablet is not that powerful. I reran the benchmark tests and this time around the CPU was much cooler, warmest it got was 90 degrees for sky diver on 7W power limit. Only thing that has change is that I had some windows updates. 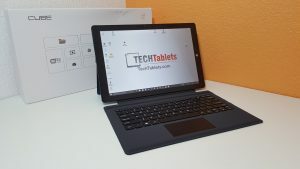 Since you mentioned the Cube i7 Stylus comparison, just wanted to point out that the coupon code “tabcle” which lessens the cost of the tablet to around 285$ is no longer usable. There is a 46$ discount for the same tablet, but the price is around 310$ with that.